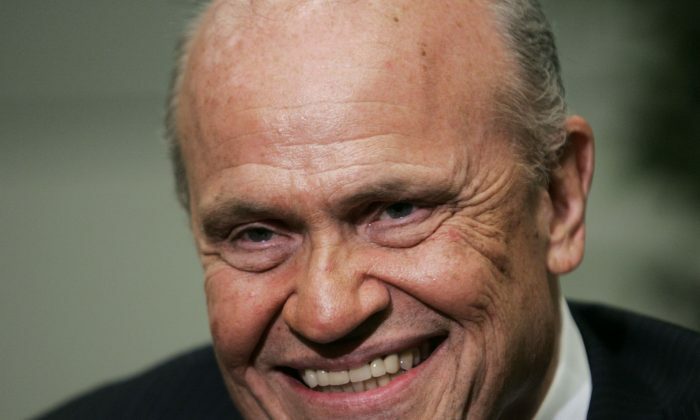 Fred Thompson, a former U.S. Senator from Tennessee and longtime actor (“Law & Order,” “The Good Wife”), died on Sunday, according to reports. He was 73 years old. Thompson, a Republican, served as a U.S. senator from 1994 to 2003, according to his Senate bio, and he later attempted to run during the 2008 presidential election. He also was a pitchman for reverse mortgage ads on late-night TV. He died died after a recurrence of lymphoma, his family said in a statement on Sunday. He was diagnosed with non-Hodgkin’s lymphoma more than a decade prior. Condolences for Thompson poured in following his death. During his acting career, he appeared in “The Hunt for Red October,” “Die Hard 2,” “Days of Thunder,” and “In the Line of Fire.” Most notably, he played district attorney Arthur Branch on NBC staple “Law & Order.” According to IMDB, he has 53 credits as an actor. “Fred stood on principle and common sense, and had a deep love for and connection with the people across Tennessee whom he had the privilege to serve in the United States Senate. He enjoyed a hearty laugh, a strong handshake, a good cigar, and a healthy dose of humility,” his family also stated. Thompson, who was born in 1942 in Sheffield, Alabama, won a special election to become a U.S. senator in 1994 before he was reelected in 1996. He didn’t run for reelection in 2002. “Very few people can light up the room the way Fred Thompson did,” Tennessee Sen. Lamar Alexander said in a statement on his passing.